Pacific Symphony periodically hosts masterclasses with select visiting guest artists for members of the Orange County community. Participants benefit from one-on-one coaching on their instrument from a master musician, while the audience has the opportunity to learn through observation. 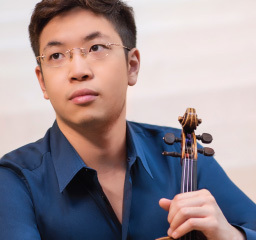 Wednesday, March 20, 2019 ♦ 4:30-6:30 p.m.
Students from the Orange County community will be selected to perform in a masterclass with violinist, Paul Huang. He will listen to them play a selection of their choice and then offer feedback and coaching on technique, musicianship and other performance factors.